On 26 March 2012, the IUPAC Division on Chemistry and the Environment announced that the 2012 IUPAC International Award for Advances in Harmonized Approaches to Crop Protection Chemistry will be presented to Lois A. Rossi of the Office of Pesticide Programs at the U.S. Environmental Protection Agency. The award recognizes individuals in government, intergovernmental organizations, industry, and academia who have exercised personal leadership for outstanding contributions to international harmonization for the regulation of crop protection chemistry. Awardees receive a USD 3000 honorarium plus travel and per diem reimbursement to attend the award presentation ceremony. Corporate sponsorship for the award is provided by Dow AgroSciences. Rossi joined EPA in 1978, and was active in leading pesticide reevaluation efforts during the 1990s, including implementation efforts for the Food Quality Protection Act of 1996. Since 2003, she has served as Director of the EPA Pesticide Registration Division, which evaluates and approves new pesticide active ingredients and new uses. 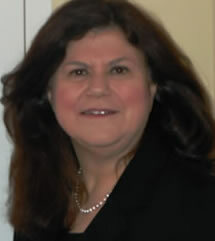 Rossi has been involved for more than 20 years with international regulatory harmonization efforts. Rossi has been a tireless advocate for adoption of joint regulatory evaluations of new pesticide active ingredients, whereby the efforts of regulatory authorities in multiple countries are pooled and coordinated for harmonized data reviews. As part of her international regulatory harmonization efforts, Rossi has been involved in number of bilateral initiatives aimed at joint advancement of international approaches, and particularly active cooperation has occurred with such countries as China, Brazil, Japan, Taiwan and South Korea. Rossi has also been a frequent lecturer at IUPAC–sponsored and other international scientific conferences, and has become one of the most influential and respected advocates for regulatory harmonization.